I recently spent time with a man who had changed the course of a river—and not a small river, a big one. He’s John Turner, a businessman and environmentalist, and the river he changed was the Chattahoochee, which flows from well north of Atlanta to the Gulf of Mexico, passing through Turner’s city of Columbus, Georgia. Fifteen years ago, Turner took charge of an effort to turn the lazy, muddy Chattahoochee into whitewater in downtown Columbus. Or rather, back into whitewater, because, as it turns out, before factories in Columbus dammed the river in the 1830s, Columbus had extraordinary rapids. I won’t go into detail about what Turner and his fellow citizens did to pull off this feat (year after year of making presentations, commissioning studies, sitting in permitting hearings, lobbying legislators and congressmen, raising money, and finally knocking down some century-old dams). But the results are spectacular. 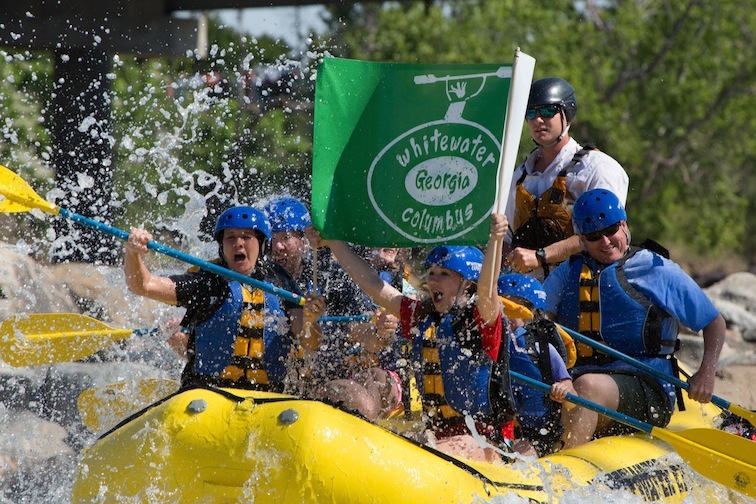 In May, Turner dedicated Whitewater Columbus, the largest urban rafting experience in America. It is two and a half miles of churning, stomach-dropping rapids that are already attracting world-class kayakers and families looking for adventure. It will, Turner is sure, create a boom in riverfront development in Columbus. If you’re thinking that your city needs someone like John Turner, you’re right. And here’s the good news: Your city may already have one, and maybe dozens of them. What you probably don’t have, though, is a process for cultivating them. Some call these extraordinary citizens “civic entrepreneurs,” but I don’t think the name does them justice. Starting a company is easy by comparison to what they do. The term I’ve used for a while is “visionistas,” because their motivation is their ideas—the clear visions they have of things that others cannot see, at least in the beginning. The first visionista I came to know was Billy Paine, the lawyer who in the late 1980s dreamed up the Atlanta Olympics, then patiently brought the games to life. But there have been many others: Fred Lebow, the man who reinvented the marathon in 1976 by running one through the five boroughs of New York; Joshua David and Robert Hammond, who in the late 1990s saw a long linear park in the sky when they looked at New York’s abandoned High Line train trestles; or, more recently, Elisa Beck, who is determined to create a center for sustainability inside an old grocery store on Pittsburgh’s South Side. As Beck illustrates, visionistas don’t always have ambitions as big as a city. Sometimes the vision can be for something in a single neighborhood. The visionistas’ greatest strength is their drive. As a city council member said of Beck, these people can be tenacious. They are also persistent. Fifteen years is a long time to work on a single project. Most council members wouldn’t do it, and most mayors can’t. Visionistas also tend to be transparently authentic, which draws others toward them and their causes. Lebow was so obsessed with the New York Marathon that he sometimes rubbed people the wrong way, but no one ever doubted his sincerity. What should city officials do with such determined people? And how can you tell the difference between a crazy idea that’s a great leap forward and a crazy idea that’s just . . . a crazy idea? My suggestion: Encourage but don’t embrace visionistas, at least until they’ve make their ideas viable. And viability means two things: a significant group of supporters (including financial supporters) and a plan. And the plan has to answer three questions: How will this project be paid for? How will we get the necessary public and private approvals? And how will we explain it to the citizens? Your job, then, is to explain the things that make projects viable, encourage the visionistas to give these things a try, and send them on their way. If they come back a year later with a group of supporters and a somewhat realistic plan, then you have not just a dreamer but a doer. And it’s time to consider investing your time and perhaps some public money in their project. But even then, be careful not to take the project from them. The projects that succeed most spectacularly do so by living just outside government. If New York’s High Line, which is run by a nonprofit, had been handed over to the parks department in the early days of the Bloomberg administration, we wouldn’t be talking about it today as the creative, inspiring project it is. That’s because, alas, vision, creativity and bureaucracy rarely cohabitate. If you value neatness and clear lines of authority, this will be uncomfortable. But if you can tolerate ambiguity and a certain amount of creative tension, working with visionistas can be exciting. Not as exciting as hurdling down a two-and-a-half-mile whitewater course. But thrilling in its own way. And along with the thrills, you might do your city some real good. A version of this posting appeared on the Governing website. Photo courtesy of Whitewater Columbus.